Continuing on with our user-submitted editorials is one by none other than ffx_fanatic1405 as she takes us on a journey through her life with KINGDOM HEARTS and how it's influenced her then and now! So, it's NOSTALGIA MONTH! 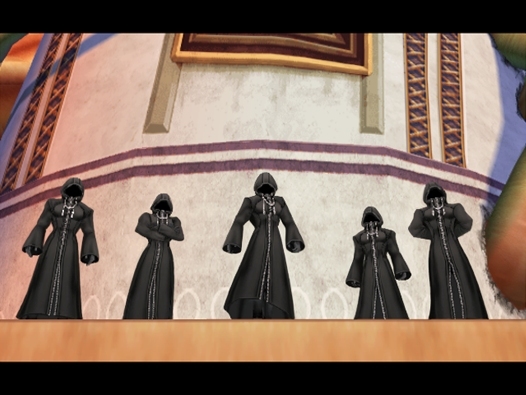 So that means, it's time to remember of the awesome days we had when we first got into Kingdom Hearts! We are now at the end of the road… sort of. Square Enix has come out with KINGDOM HEARTS -HD 1.5 ReMIX- in Japan and it won’t be long before it’s here in North America. For me, it means two things; one, I get to play my favorite game for years to come and have my PS3 hogged by my niece and nephew constantly when I get it and two, the end is almost near. By the end I mean KINGDOM HEARTS III, because we all know after that game, the series won’t come to an end, but an arc. The Xehanort Saga is what the current arc we have is called, all the games that have been released so far is that saga. After that… who knows? We don’t know what the next story will be or what’s going to happen, but what do we know is that a new era is coming and it’ll be something new, unknown. For me, when something is coming to an end, I like to go back and look at my past; to see how I come so far. It’s been 10 years for me with this series, and the way I started with these games is the first games I ever beaten on my own. I bought KINGDOM HEARTS on a whim, thanks to my brother for leaving me poor games for the PlayStation 2. My older brother decided to leave home and I was now an only child, lonely. So because I was saddened with the lack of sibling, my parents decided to buy me a present. When asked what I wanted, I decided to get a game to call my own. While I was really good at Tekken and loved Need for Speed, I wanted something different to play. So for three days straight, we went to Target to look for a game. Each day I would pass the glass displays and kept looking and looking for that game, but none would catch my eye. But there was one that kept getting my attention without me wanting to. This game was outside the glass displays, and was on sale. It had an interesting cover; I saw two iconic characters that I seen all my life, but with three kids looking at a heart shaped moon. While it seemed interesting, I kept dismissing it because of it was Disney… thinking it was too childish. So for three days I kept passing Kingdom Hearts, catching my eye and I ignoring its call. But soon that call kept bothering me… I didn’t know why, but I had to buy it. So on the third day, Kingdom Hearts and I were on our way home. The first thing that I thought when I started a new game was… is this kid a girl? But after I heard the first dialogue between him and Kairi, I quickly found the answer. I was in high school; I was hanging with a bad crowd. I wanted to feel like I belonged, so I would dress like they would and try to like the same music. But for them I was an easy target, I was really quiet and innocent, so they would kick me, hit me, call me names... it was horrible but I endured it for freshman year. I didn't have the guts to leave the group, since it was the only people I talked to in school. While the year went on, I played KINGDOM HEARTS II. I was going through it and remember that once I finished the game, how connected all the characters were. 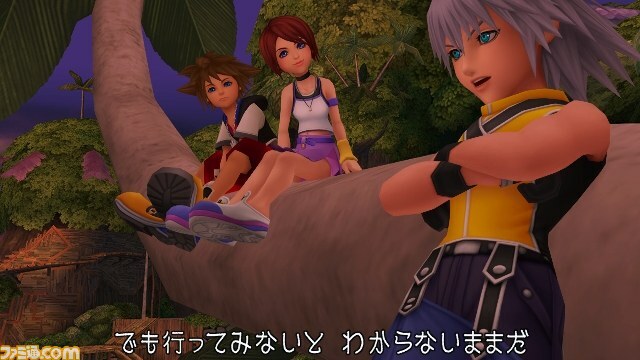 Sora, Riku and Kairi didn't treat each other like dirt, they treated themselves with respect, and they loved each other. They went through so much, yet they're friendship continued on. At that moment, I realized who my friends were. So the next week, I told off the kids, told them that I wasn't going to be treated this way anymore; we cursed at each other and left it that way. I lost the only people I talked to, but I was free. Now the next thing was, what do I do next? Here I was no group or clique to belong to. I didn't have anyone to tell me what to do anymore... I was free. So what I do? I went shopping, dressed the way I wanted to and talked to who I wanted to. Soon by my senior year, I was in no clique; I was on my own and liked it. The only person left I talk to from that old group is a friend, and she felt sorry on what she did to me, so we became good friends. Kingdom Hearts helped me find out who were my true friends, the friends that I would still keep after all these years, that I still hang out now as adults. It made me the person I am today and for that I am grateful. And now, here I am; 22 years old and college student, I’m almost at the end of my education and soon I’ll be headed in the real world. What that means to me is, less time to play video games. Even now, as I write this, I haven’t had time to play anything. My attention has changed a lot over the years, a game that I would find fun and kept playing for hours, changed to just play for a while, and then go do something else that would acquire my attention. To sum it all up, I’m feeling my age. Soon, this new game will come and I’ll play it, but what does that mean after this arc? Will I want to play? Will it still call my attention? I’m a bit scared on those answers, because denying the one thing that I hold close to my heart, means that I’m getting rid of the last thing I had as an innocent child. Then comes the thought to you, dear readers; are we getting too old for the games? I mean some of us have grown with the games… spent our adolescence with the games. Is it time for us to say good bye? I don’t think so, I think as long as you enjoy something and you don’t feel tired of it, keep going at it. Just because some of us are feeling our age, doesn’t mean others will. So I say; keep playing you guys! And for us who have given up, don’t forget the game you enjoyed! As for me, I feel that after KH3, I'll be stopping the series, but it depends if the next game is okay and not a fanfic idea come to life. (No offense to any fanfic authors, I'm one myself.) But while I may leave the series, it doesn't mean the love I have for it in my heart will disappear. It will always be with me and I will have it for the rest of my life. Because for me Kingdom Hearts isn't just a game, it's a life changer. But needless to say, my answer shall stay the same until I know what’s up to come from Nomura: I will keep playing. Nomura has kept me on a string since Kingdom Hearts II, pulling me to keep playing just to know what’s going on with the story and when Kingdom Hearts III will come out. All he accomplished was having a very confused and doubtful fan. All I ranted was that he was just pulling things out of his arse, and while he assured us that he planned this from the beginning, I’m still a bit skeptical. But It doesn't mean it wasn't good, oh no. Whatever the reason, no matter how confusing the plot was getting, I was already hooked to the story, I kept on buying and playing all the games up to this point. (Except coded). And I have so many memories of the series, so many which have made me what I am today. If it wasn't for Kingdom Hearts, I wouldn't have made any friends. I made friends because the bond between the main characters and the lessons they bring is, while a bit cliché, friendship and teamwork shown as important, it something I like and makes me feel like a kid inside. Because of this I felt that friendships are worth. But while the themes were important the story and amazing characters were what kept me going, the beautiful worlds and the awesome gameplay that while frustrated me in the beginning (The camera in Kingdom Hearts), still kept me entertained to this day. The thought of going to different places that bring nostalgia made me happy, especially when you’re traveling with your favorite Disney characters. The feeling of accomplishment at the end, that you are the reason why Sora got to the point he is, because you guided him to it. Thus I end this editorial but I will end this with a thought, do you guys think we, the fans that have grown with the series, are getting too old for them? And also, what are your fondest memories with Kingdom Hearts? When you first got it? I don't believe that you're ever really too old to enjoy most hobbies (especially videogames), so me turning 20 doesn't really have much to do with it. So regardless of your age, if you still enjoy the games and have the time to play them, you should by all means do so. But me personally? 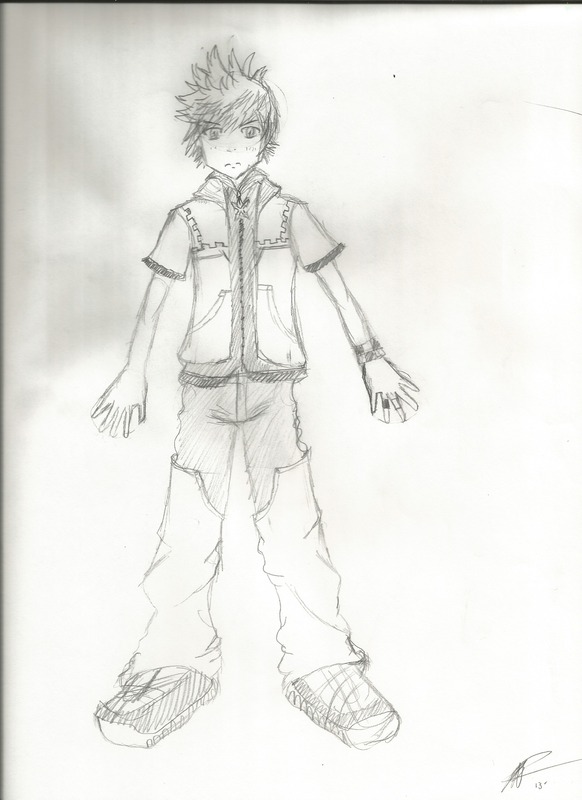 I was still about 13 when I first started playing Kingdom Hearts, and I've changed a lot since then. My preferences in games and storylines are not the same as they were back then, so KH just doesn't have the same appeal to me at this point. The developments the series has taken since KH2 have just further alienated me (not that KH1 is some super good game or anything). So I will be reading up on how the series progresses out of curiosity, but most likely I will not be purchasing future installments in the series. I find it a bit odd that some people think KH3 will magically fix any problems they have with the series (though I can still have some fun with the games, so that might still be a possibility, I just won't be super invested in them); it most likely will not be much better than KH3D or BBS (except of course with better technology/more potential), so if you didn't enjoy those at all you probably should jump ship as I have and find other games you like more. Regardless, I do have to confess that KH, indirectly, led to some pretty interesting changes in my life. It led to joining KHI, and spending time here led me to visit the internet more in general, which has had a pretty big effect on my behavior and general way I see things. I also met some pretty cool people, a lot of which I still speak to today and consider friends, so even though I'm not really a fan anymore I do think getting involved with the series was a positive experience overall. As for the series itself, CoM was my first KH game, and once I got over the shock of seeing Cloud and Goofy in the same game I found that the story was actually pretty cool; unlocking Reverse/Rebirth was such a pleasant surprise back in the day. Although I imagine the game's plot and dialogue (which at the time I thought were excellent) wouldn't hold up today, I'll always have fond memories of the CoM story and characters. I will never get too old for Kingdom Hearts as long as I live! For me, I started loving KH when my older brother got it when it first came out. I remember watching him play it, while I was only 5 years old, but loved every minuet of it. Kingdom hearts was a bonding point for my brother and I, even though we didn't have that great of a relationship. We could talk about it for hours back in the day, but alas now he is not a fan anymore because he got tired of waiting for KH3 and so, that one bonding point is gone. I still remember watching him beat it for the first time and I cried at the end when Sora couldn't be with Kiari. Kingdom Hearts has taught me that even in the darkest situations there is always a light to help you get out. KH has helped me make friends and is a major part of my life. I definitely would not be the same person without it. Also, I'd say something about how "you're never to old to like something if you enjoy it", but I don't want to sound like I'm parroting you guys, so I'll refrain from it. LOL. And as for the question posed... I think I'll stay with KH until the end. See, I'm one of the fans that have played all the games from the time the first one was released, and therefore have been playing it for more than half of my life. At this point, I can't really imagine my life without KH, and I don't really want to: I'm the person I am today because of this series, and, frankly... I don't know what I'd do with my spare time if I jumped ship. LOL. There have been moments, though, where I have thought about leaving the franchise, but only to be quickly reminded of why I love the series so much, and thus never will. It just means so much to me for so many different reasons. First off, it's the first series I got into so much, and I enjoy all the aspects of it: the story, the characters, the world, the gameplay. Heck, I even like the convolutedness! See, I personally am sick of stories you can predict all too easily, so I like that KH keeps you guessing and theorizing. It also helps that Nomura has an uncanny way of actually trying to tie everything together in a way that makes sense. That takes a lot of dedication, and I know a lot of series wouldn't even bother (like Lost). And anytime something new is added, I feel like, "Whoa. Why didn't I see that before? That makes so much sense!" (like with the creation of the Nobodies), so I really do enjoy Nomura's storytelling for those reasons, and also enjoy many themes in the narrative. (and I don't even ship the pairing and am saying this!) is so much more impressive to me than pairings like Stefan and Elena. To love someone when you're not supposed to have a heart, all the sacrifices and meanings to everything the characters say and do, and the connections... feelings just so many feelings it brings me. That isn't to say, though, that I sometimes don't have problems with the story (though in all honesty, the only game I truly have a bit of a problem with is Coded, and some things added in DDD, but I'm still not that bothered by either), but in my opinion, the good outweighs the bad by a mile, so it's something I can easily overlook (though I do agree with HellfireComms a lot of times). I think the only way I think I'll ever leave KH is if it does something to severely jump the shark (that doesn't even seem too likely to me), or just if I run out of time to play them. Even then, though, I'd miss it severely, and would be sad that my vast knowledge of it had gone to waste. So, yeah. For the most part, I think I'm here to stay. And you know: in some ways, I actually think the next saga could be even better than the current one, since they have the time and chance to plan things more thoroughly this time around. And... I can't believe I'm about to admit this, because I promised myself I never would, but... there was a time in my life where I was very depressed and suicidal. Though I know it was stupid, and I regret it all immensely now (but suicidal people are rarely in their right mind, are they? ), there was a time where I couldn't see the light. And honestly, the thing that kept me from killing myself was KH. Once again, I know it's effing ridiculous and completely, completely silly. But... I wanted so badly to see what would happen in the games, but more than that, I remembered all the great things it taught me, and..for those reasons KH saved my life. So, of course, that's a huge reason why it'll always be a part of me and vice versa. I can't leave it after that. Through KH, I've had some of my greatest experiences, and met some of the best people (it also led to me wanting to become an author, got me into gaming, etc.). And even at the young age I was when I first played it, it was able to teach me so much, and it helped me know I wanted to be. And that right there, in my opinion, is the true power of KH. I started Kingdom Hearts in 2004, I think. I remember my brother getting it for his birthday, which was probably in 2003. After (I assume) he finished it, it sat covered in dust for a while until me and my brothers and sister got bored of the edu-games we were playing, and went through the stack of (unloved) games in out TV cabinet. Just a reminder that if you write an editorial for us and it ends up on the main site, you are eligible for the Rising Star award! Anyways, I first got KH back in 2004 or 2005. My brothers friend brought his copy over, and I was on a ban from the PS2, but since it was in my brothers room I thought mum wouldn't know. I watched him play a bit of Final Fantasy IX, and then the main Traverse Town Boss fight and I thought to myself "I need this". So I went and got it. I know I've grown with the series. In fact, the strong theme of the bonds between friends has stuck with me throughout my adolescence into adulthood. I know that no matter where my friends are or how far away they are, they'll always be with me. And I'll always be with them. Even if they've passed on, they'll live on within my heart. And I can only hope that when my time comes I shall continue to live in the hearts of my friends. If it weren't for KH, I don't think I would have developed this belief, and it's definitely one that has helped me through some tough times. It's because of this that I know that I'm not too old for them; after all, I don't think KH is a game that is created with a specific age range in mind for its demographic. The theme of friendship is as old as time, and therefore one could possibly never be too old for something with that theme. This was a great article i enjoyed reading it. I've been with Kingdom Hearts ever since i was 7 years old and i'll be with Kingdom Hearts until the day i die. The series has changed me in more ways than one. It's one of those few video games that can have an emotional connection with people and it does. 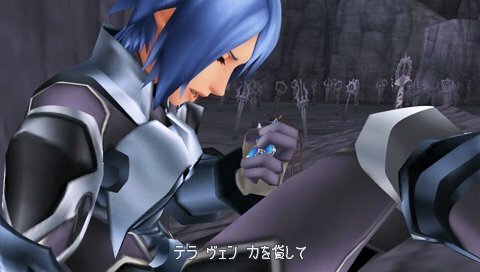 ( i.e I cried a little when Xion died) In all honesty Kingdom Hearts is an amazing game for something that has the power to keep people from commiting suicide or to help them realize their true friends in life, when i read stories like that, that's when i realize how much of an effect this game has not only had on my life but on others as well. Fondest memory was actually getting it and seeing the opening for the first time. I had seen the commercials and such on disney channel and had wanted it since I saw them. And when I finally got them that xmas I was very happy! lol xD I can't help but admire such determination. xD what was it like starting off rich?